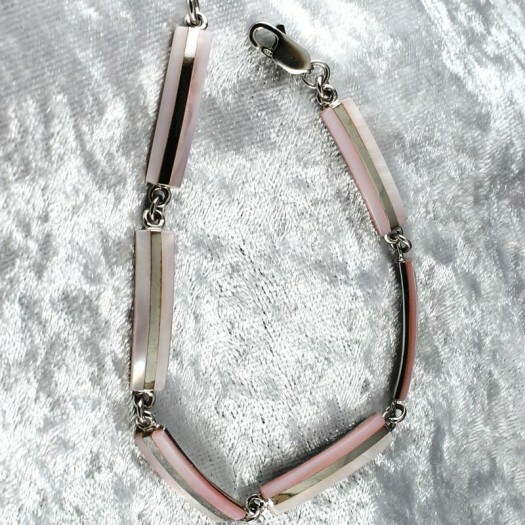 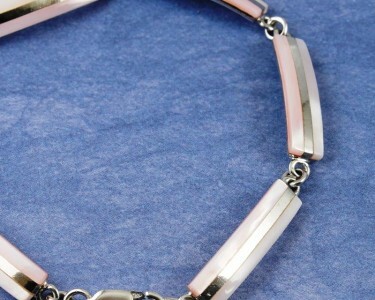 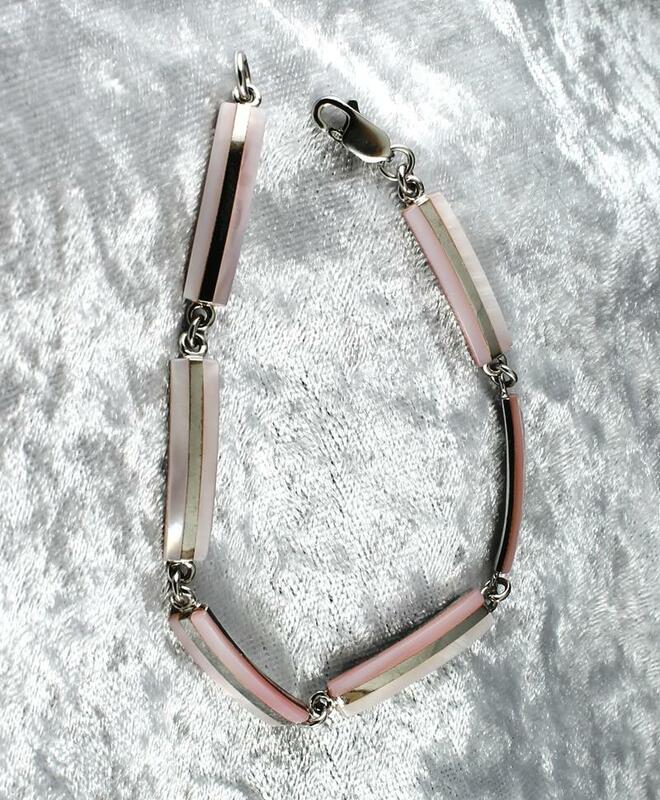 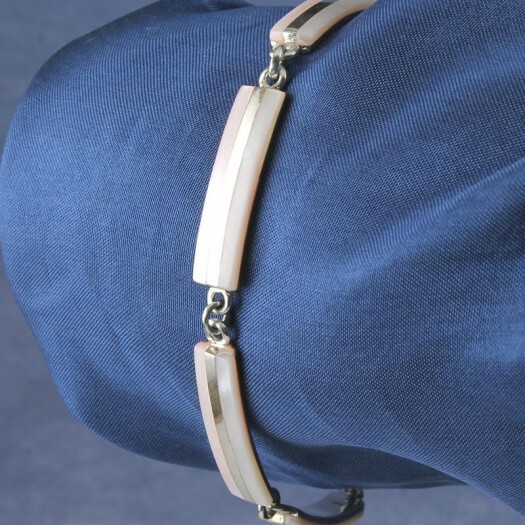 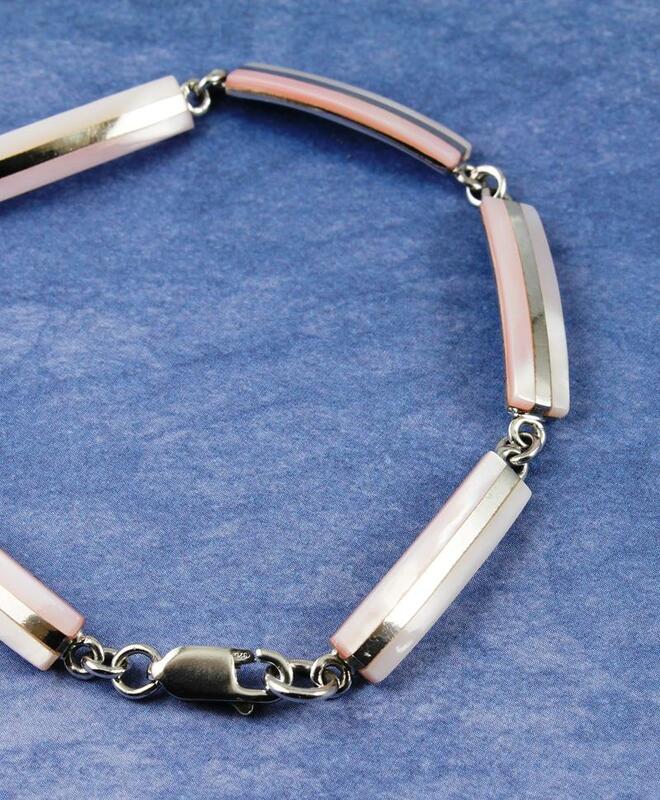 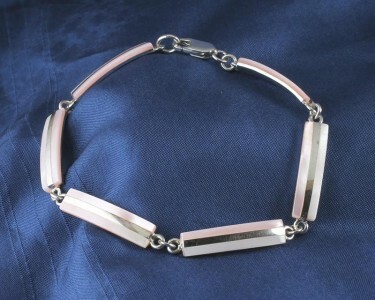 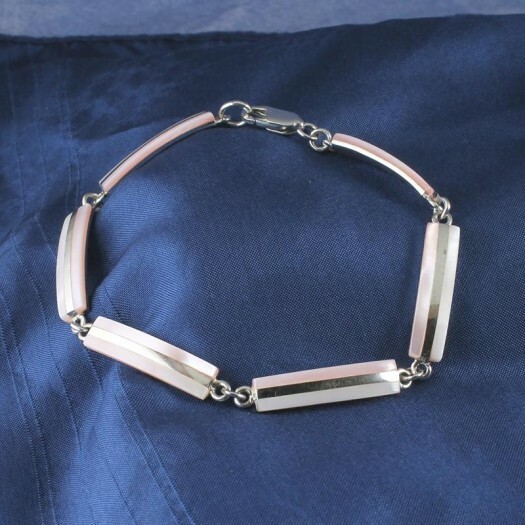 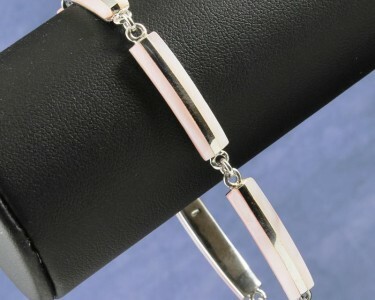 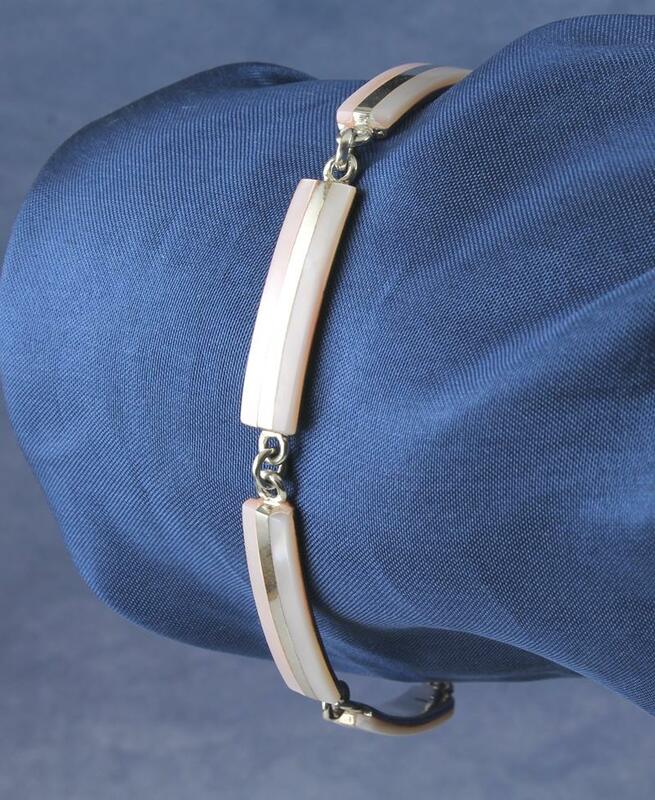 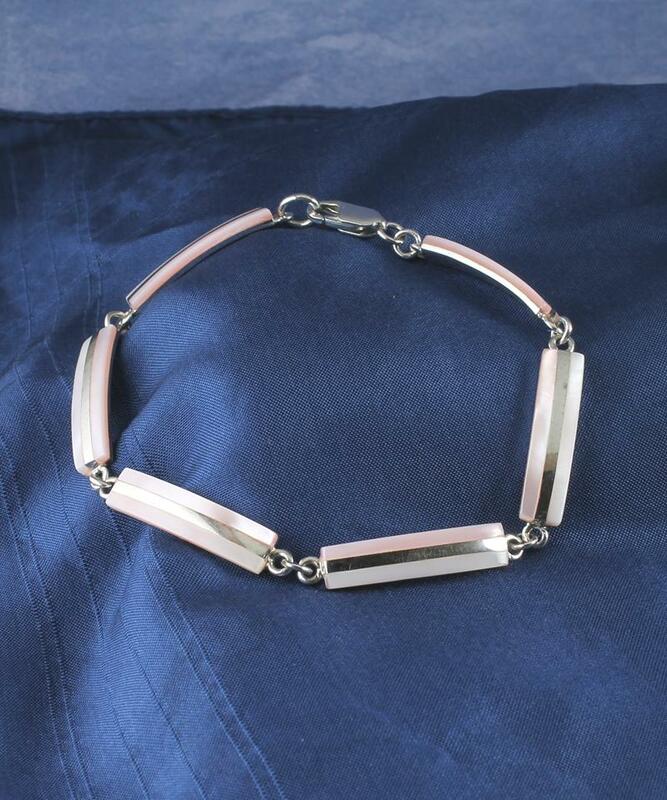 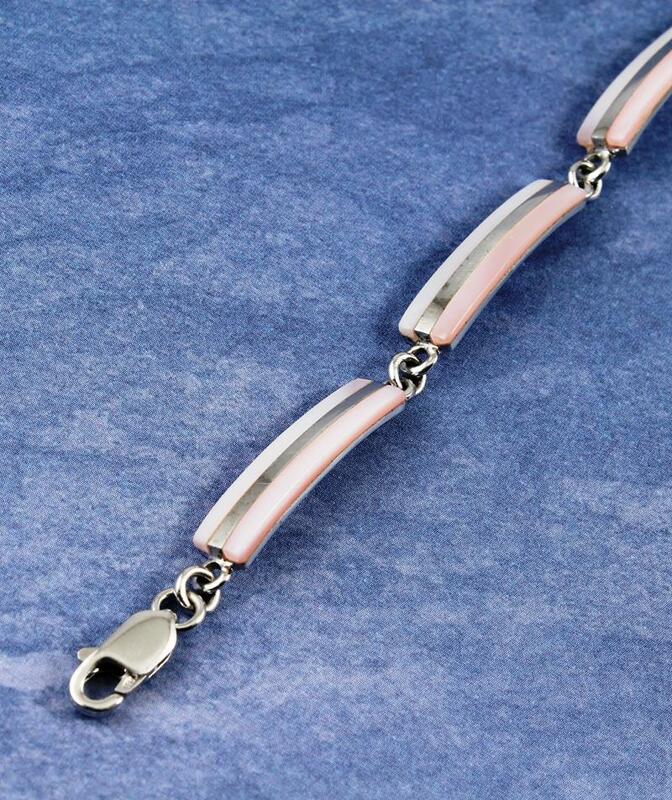 An exceptionally elegant bracelet with 6 long, slightly curved rectangular pieces, each with a shining central sterling silver strip, surrounded by two parallel strips of iridescent pale pink shaded Mother of Pearl. 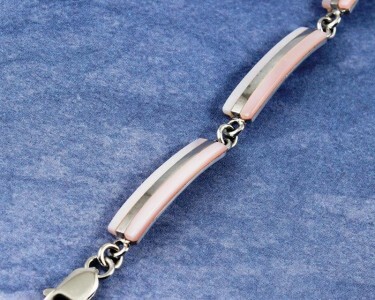 Connected by sterling silver rings, and fastened with a sterling silver parrot clasp. 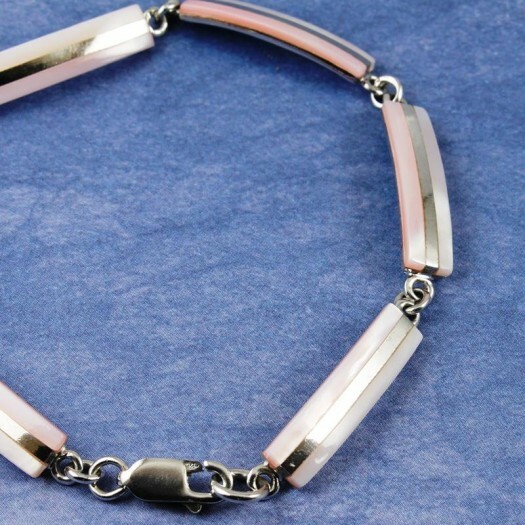 Wear It With : Simple and refined, this bracelet shines with a pink and white iridescence that only Mother of Pearl can bestow. 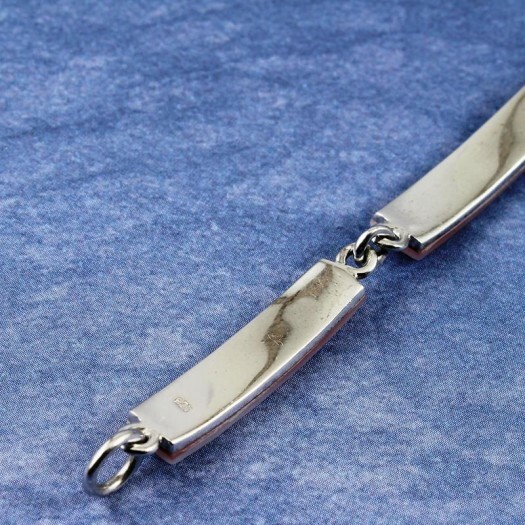 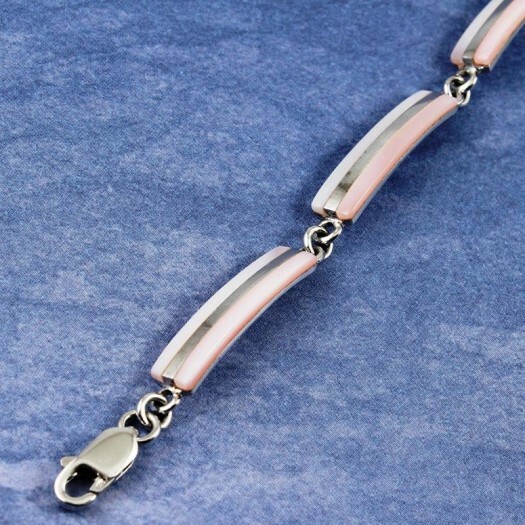 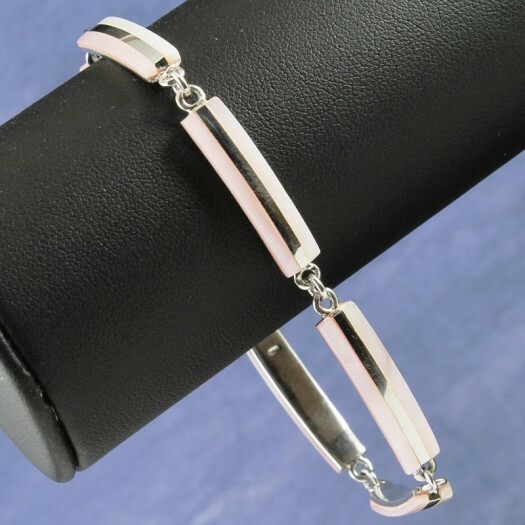 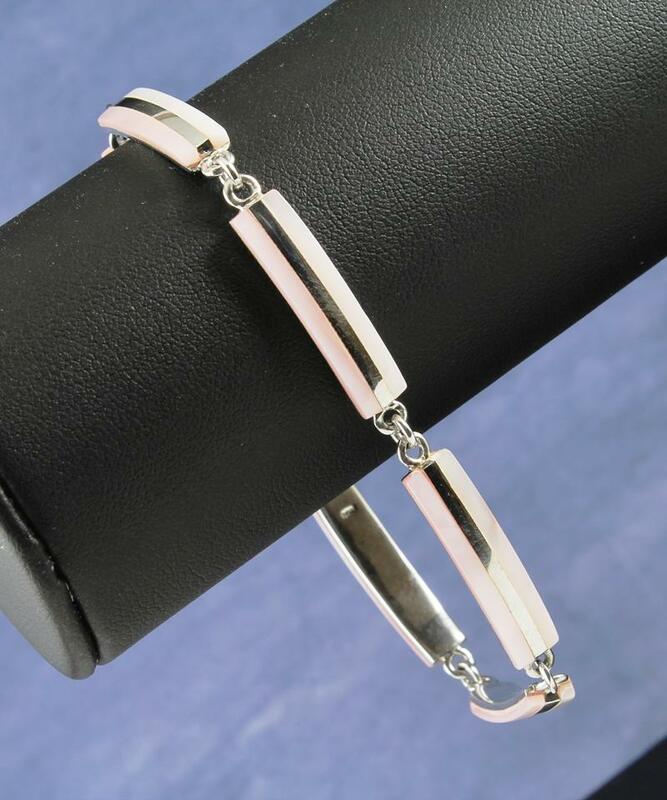 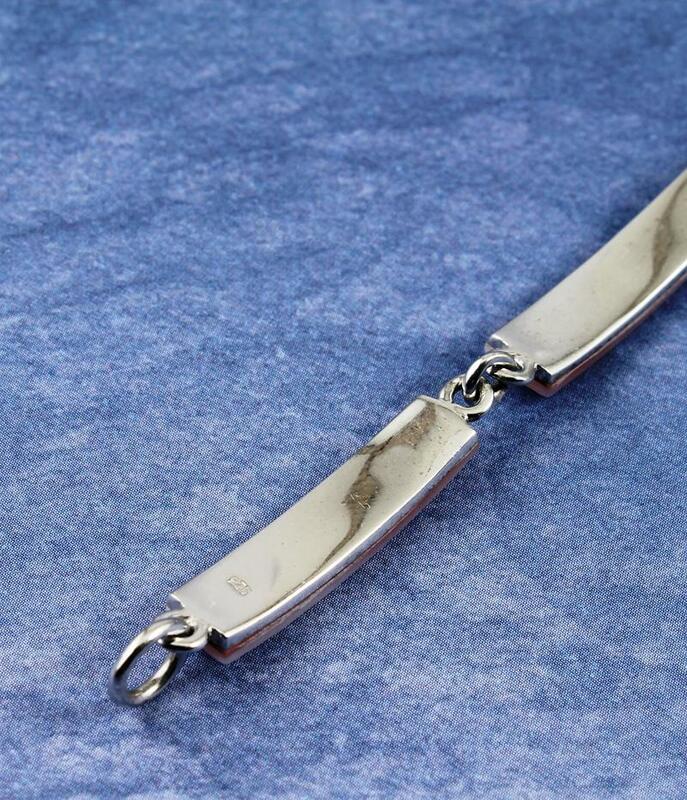 This bracelet will match your other sterling silver, pink and white accessories, and will provide a stunning highlight to any outfit, especially black, white or pink. 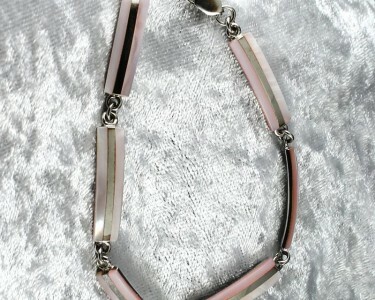 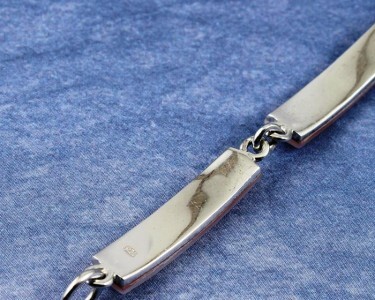 Excellent for more dressy wear, it will also provide a wonderful contrast to your casual denims.